Check out over 150,000 square feet of blowout sales on RVs, Boats, and accessories for it all at the RV and Boat Main Event held this year from March 1st – 3rd, 2019 in Oshkosh, WI at the EAA Grounds. First things first, the buildings are HEATED and every hanger includes a great selection of food. 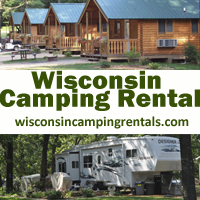 There will be campgrounds included in the exhibitors and and great door prizes like free camping! Now that you’re warm, fed, and getting door prizes, let’s see what else the show has to offer! Your friendly WACO staff will be at this show, so be sure to stop by and grab a 2019 WACO Directory, learn about upcoming events, and if you’re a campground owner, become a member! Whether you are shopping for a new travel trailer, fifth wheel, truck camper, motor home, speed boat, fishing boat, pontoon boat, PWC, or just want to see what’s out there an available, this is the show for you! Maybe you’d rather just gather your information about RV rentals, campgrounds, golf carts, boating, docks, etc and make decisions later – that’s ok too! This event will surprise you with a wide variety of information, exhibitors, and displays to see. Best prices of the year on Pontoons, Speed Boats, and Fishing Boats – dealers will be representing over 65 available brands! Oshkosh, “Wisconsin’s Event City” has a little something for everyone, even during the unpredictable Wisconsin weather in the month of March. If you’re looking for recreational, shopping, attractions or just a great beverage, make sure to plan more than just the expo during your trip when you travel to the East side of the state. The Taste of Oshkosh is an awesome resource that allows you to search by location, type of food, or even image of dishes that look ridiculously delicious! The Super 8 by Wyndham Oshkosh Airport and the Hilton Garden Inn Oshkosh are both just minutes from the event, but there are literally 10+ lodging options within less than 10 miles! Check rates, reviews, and any amenities that are important to you, your family, or your staff for the trip.